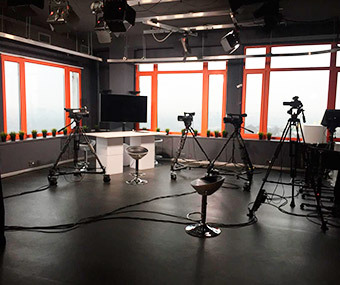 Hromadske.TV is the first public online TV-station in Ukraine. 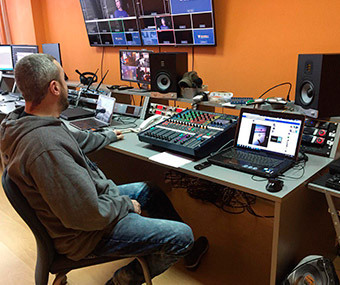 This broadcaster was founded during the turning point of Ukrainian history in 2013, financed mostly with donations, at a time when video streaming of live events, even without any comments, became the new reporting standard and main source of truthful information. During these revolutionary days a constantly increasing amount of viewers watched live broadcasts. Thus, information about these dramatic events could reach an eager audience despite the efforts of antidemocratic forces to the contrary. 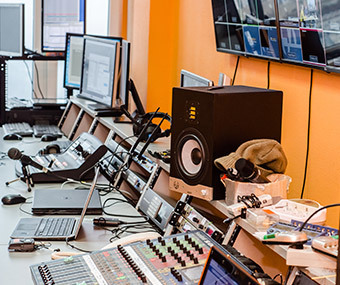 To make all this possible, there needs to be the right mix of technical gear and people who deliver decent content, no matter where it comes from: be it Maidan Nezalezhnosti in Kiev or the studio. 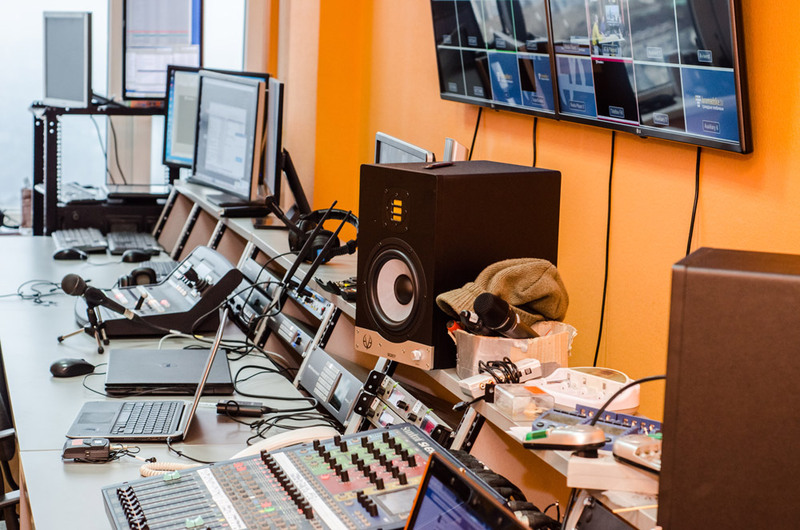 One of the experts working at Hromadske.TV is Mr. Konstantin Klekovkin – an audio engineer who also works for the STB TV channel. Among other things, Mr. Klekovkin was also responsible for the sound during the castings for the artist who will represent Ukraine in the Eurovision Song Contest 2016. We had the pleasure to interview Mr. Konstantin Klekovkin to learn more about his way of working. What do you use the studio for? 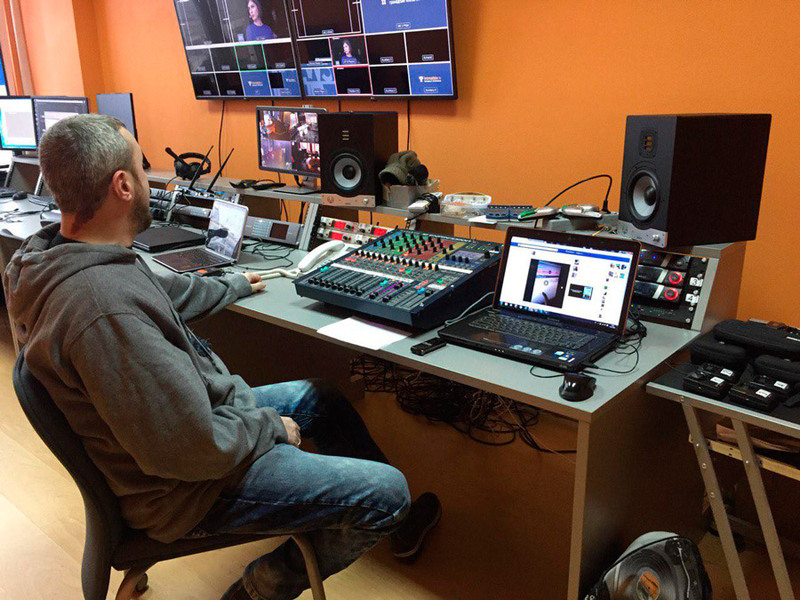 Konstantin Klekovkin: From this control room we broadcast Hromadske.TV. That means all audio, including microphone and musical background, is controlled from this console. 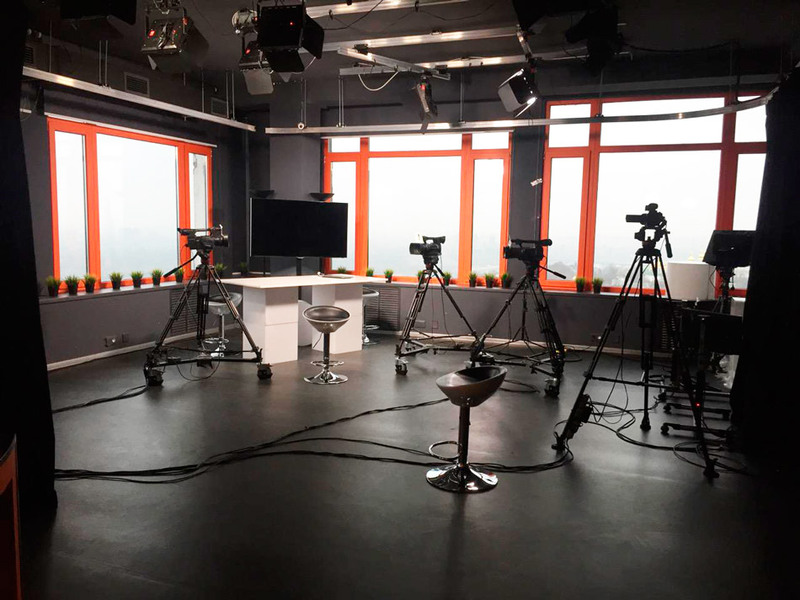 We also make live broadcasts for our first national TV channel and four other Ukrainian TV channels. And we always count on our SC207 for sound monitoring. Why did you choose EVE Audio's SC207s? K.K: I don't work only for Hromadske.TV, I'm also sound engineer at the STB national TV channel. There I had the opportunity to listen and compare different models of studio monitors. And it turns out I liked the EVEs best due to their overall characteristics and the DSP functionality. What are the advantages of the SC207s for you? K.K: I like the digital control possibilities very much. It's very convenient to be able to control all monitor settings with such precision using one single knob, which is comfortably placed on the front of the speaker. Plus, the monitors use DSP technology. The analog input signal is converted by a high quality Burr Brown analog/digital converter, which gives us more flexibility and possibilities. Can you describe the sound of these monitors? K.K: I can hear every single detail with them. The stereo image is perfect, which is very important. The volume and sound pressure levels that the SC207s provide are more than enough, and we will probably never drive them to their maximum. Look at the master EQ section of our console: we have an almost linear frequency response above 800Hz. Although we did have to adjust the low frequencies a bit due to room acoustics. Do you have plans to treat your studio acoustically? K.K: Oh yes. We are considering the installation of acoustic panels that will allow us to improve our working conditions, which will have a positive impact on the end results. What do you think of the acoustics in the studio's vocal booth? K.K: We also have plans to acoustically treat the booth. It's an important goal for us to achieve better results when broadcasting the programs. Our aim is to improve the clarity and definition of the speakers' voices. We still have some areas we need to improve, technically speaking. 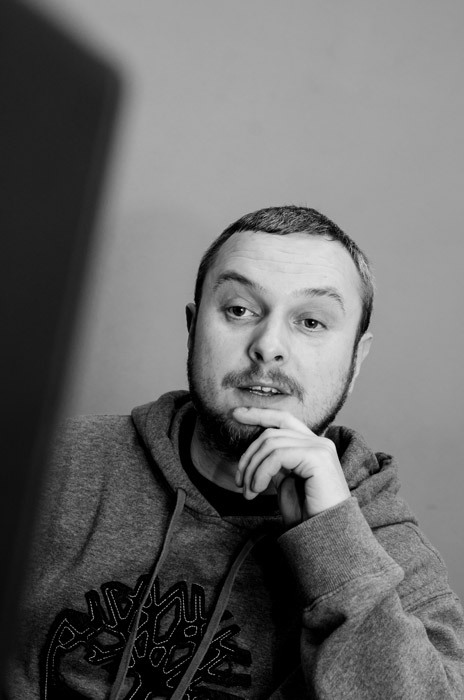 When Hromadske.TV was founded we focused heavily on disseminating information. Now, our broadcast station is up and running and we can look into improving our working conditions. If you needed to invest in studio monitors in the future, would you stick to EVE? K.K: By all means. The monitors are great and for me there is no alternative. Frankly speaking, I've fallen in love with the way they reproduce high frequencies. Not to mention the superb value for money of the EVEs.